The longstanding – and understandable – “not in my backyard” attitude of citizens toward nuclear waste has galvanized anti-Bush forces in Nevada. Now it’s up to John Kerry to capitalize on opposition to the Yucca Mountain repository site and score a victory in a swing state that chose Bush over Gore by only 3.5 percent. 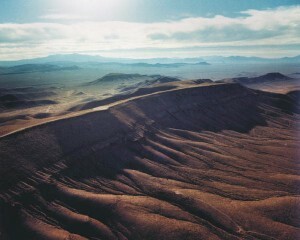 The Yucca Mountain plan, approved by both houses of Congress and President Bush in 2002, was the result of a search started in 1982 to find a viable resting place for highly radioactive nuclear waste. The Yucca site would serve as a burial ground for more than 77,000 tons of waste, entombed in concrete containers deep inside the mountain. Nevada lawmakers have consistently opposed such a plan, citing the danger of leakage and long-term environmental damage. While 31 states have nuclear power plants, Nevada does not, and the state has sued to prevent Yucca Mountain from becoming a repository. In a decision announced Friday, a panel of judges from the U.S. Court of Appeals rejected the state’s challenge to the project. But the judges did rule that the Department of Energy must address the site’s long-term environmental impact by instituting stricter radiation standards, which will likely slow the project’s progress. As the Las Vegas Sun reports, the vast majority of Nevadans disapprove of the Yucca site. Polls consistently find about 70 percent opposed to the project, though poll data gives no clear answer on whether citizens will cast their presidential votes with Yucca in mind. “That points up something unique about this issue: To Nevada, it’s a litmus test. To the rest of the country, it’s a funny name. Otherwise, why would Kerry have risked alienating vote-rich Nevada (not) by picking a guy who was wrong on The Big Issue? But Edwards has convinced Nevada Democrats like Harry Reid that he’s on board with Kerry’s position. And Kerry has been one of the Senate’s most consistent voices against Yucca Mountain, sharing the view of Nevada’s entire congressional delegation and the state’s Republican governor, Kenny Guinn – before Bush backed the plan over their objections. If voters don’t like that answer, Nevada – which has backed the winner in the last six presidential elections – could fall into Kerry’s column.